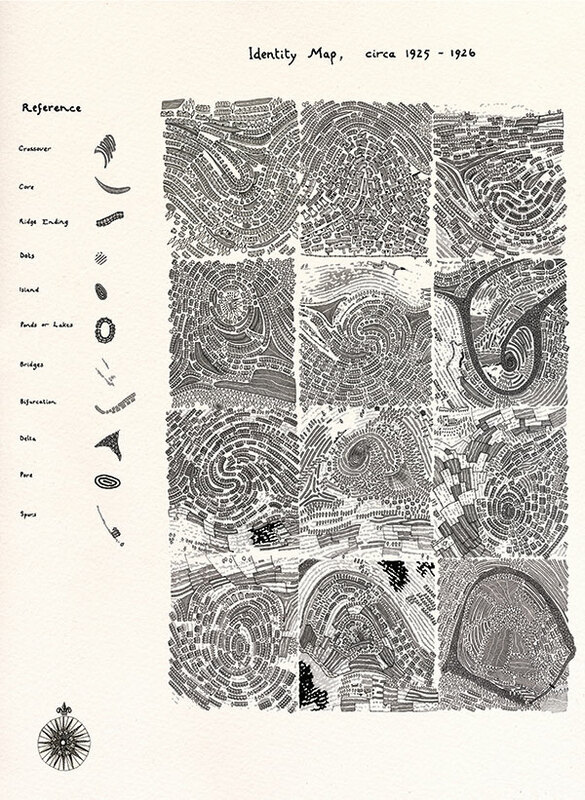 A2 print ‘Identity Map’. 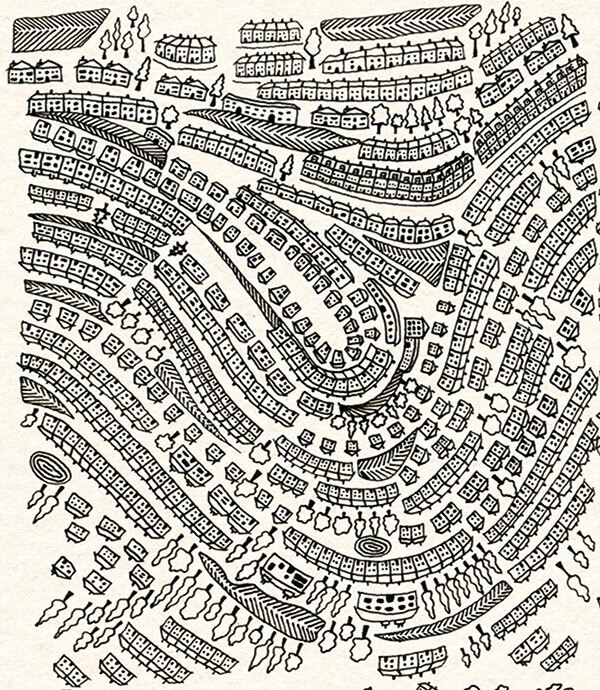 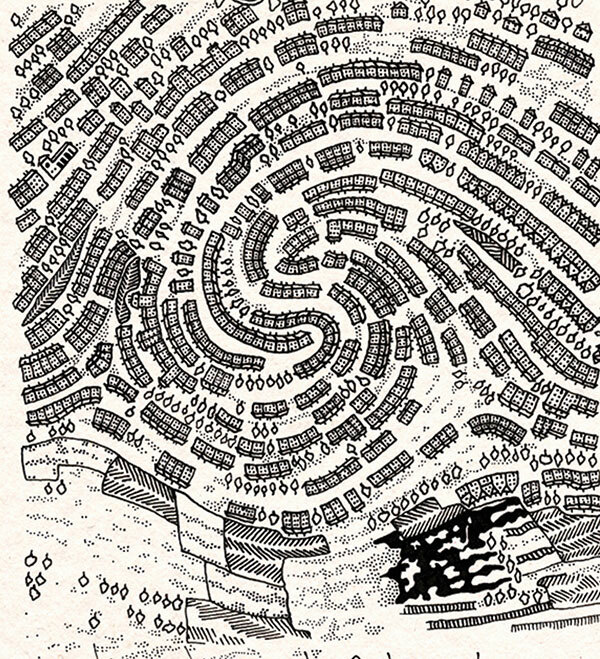 A map based on the different fingerprint patterns people have. 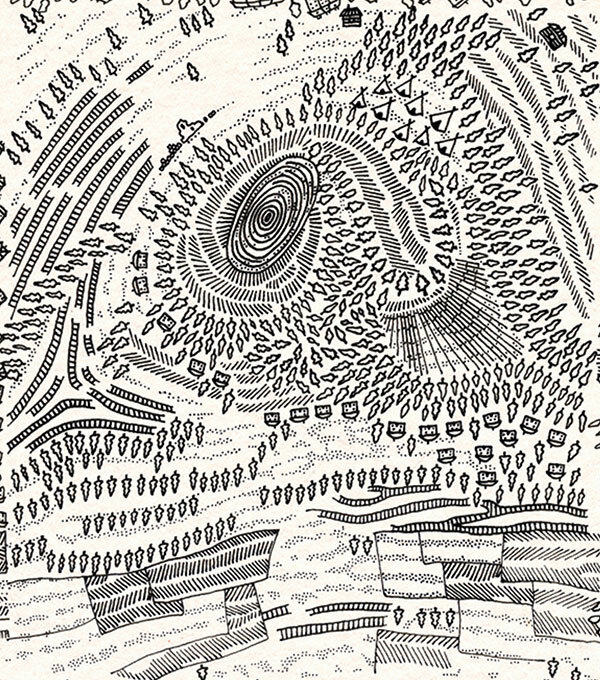 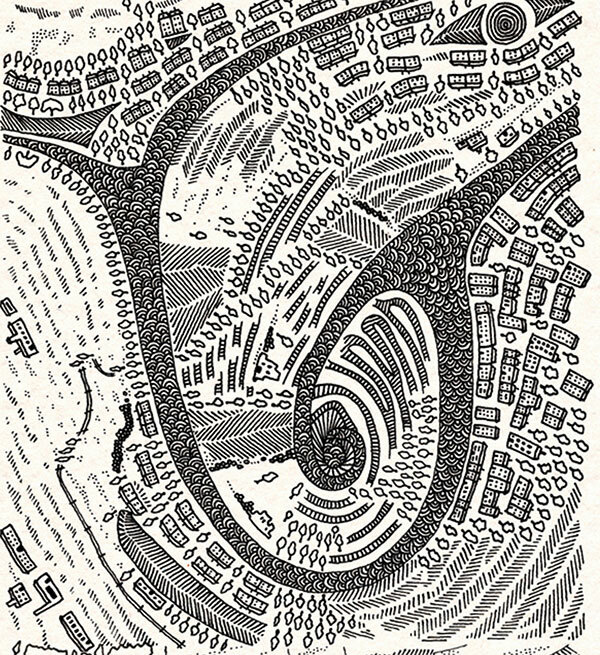 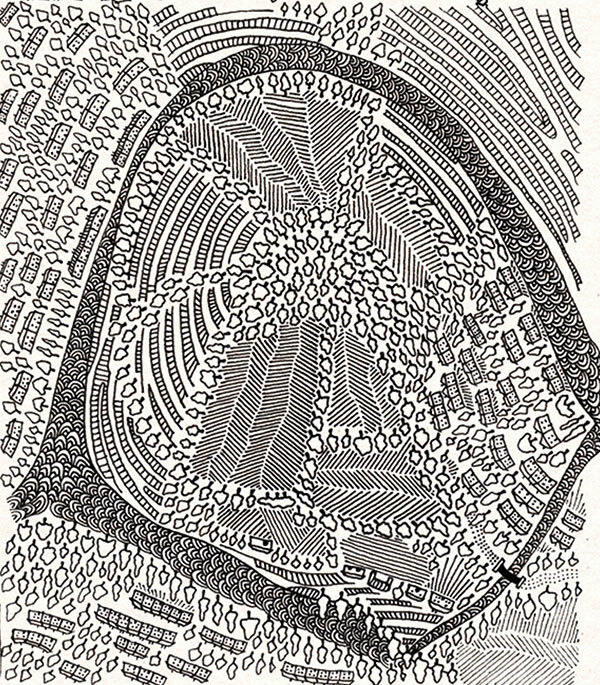 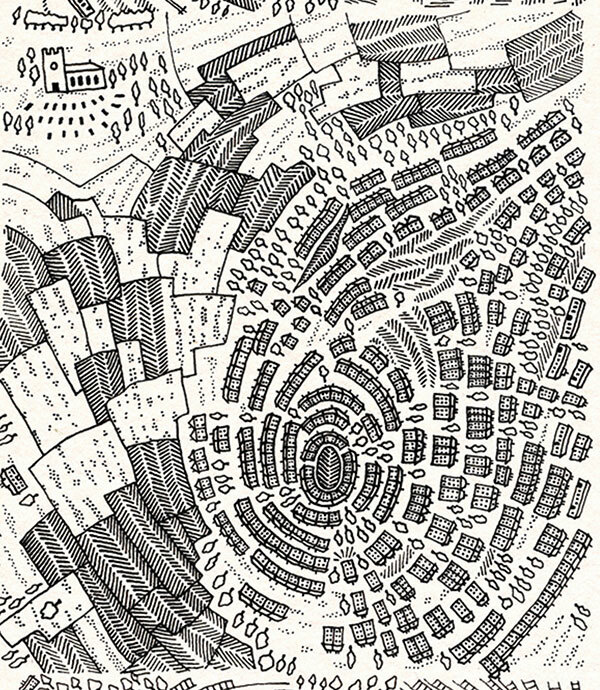 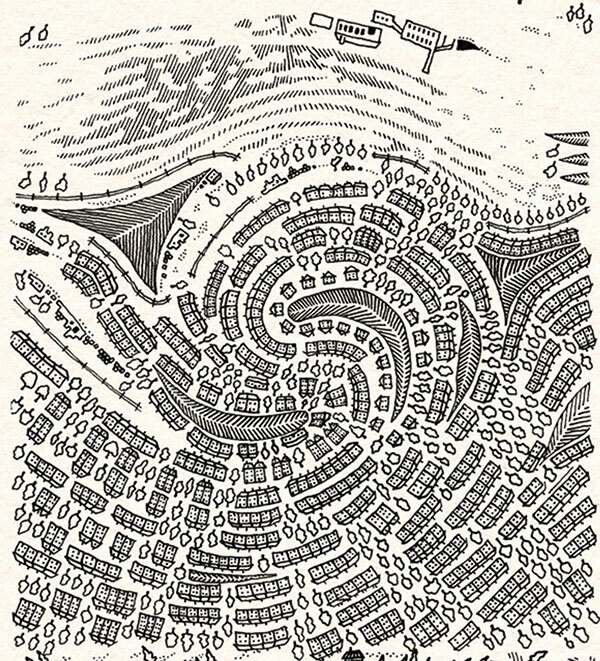 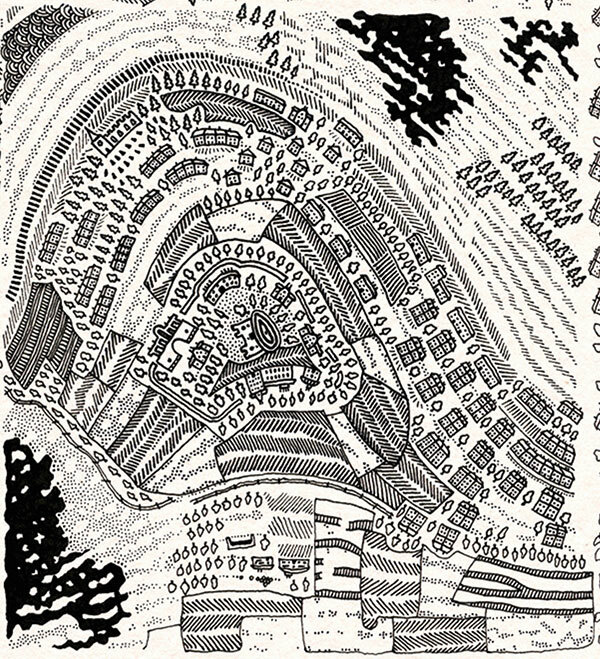 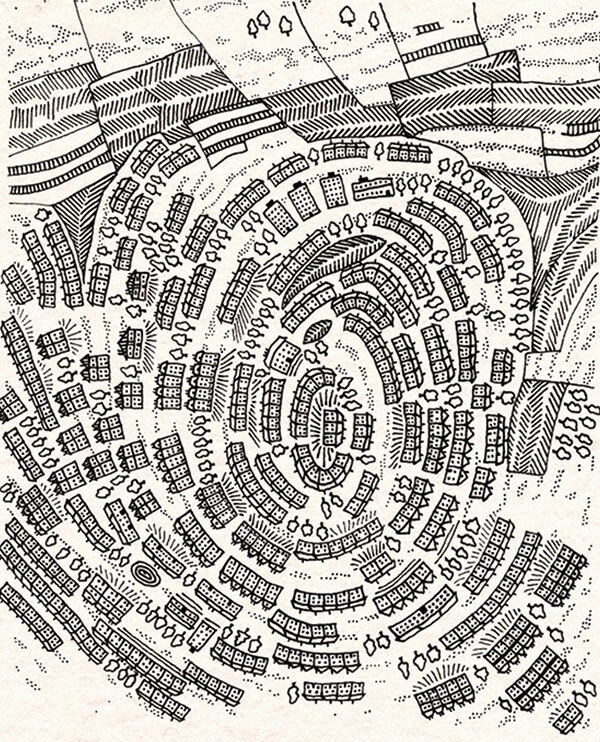 I drew each square over an enlarged fingerprint to achieve the swirling layouts of cities, villages, fields and industrial sites.